Don't know your baranka from your sushka? Eat up this history, and a recipe. 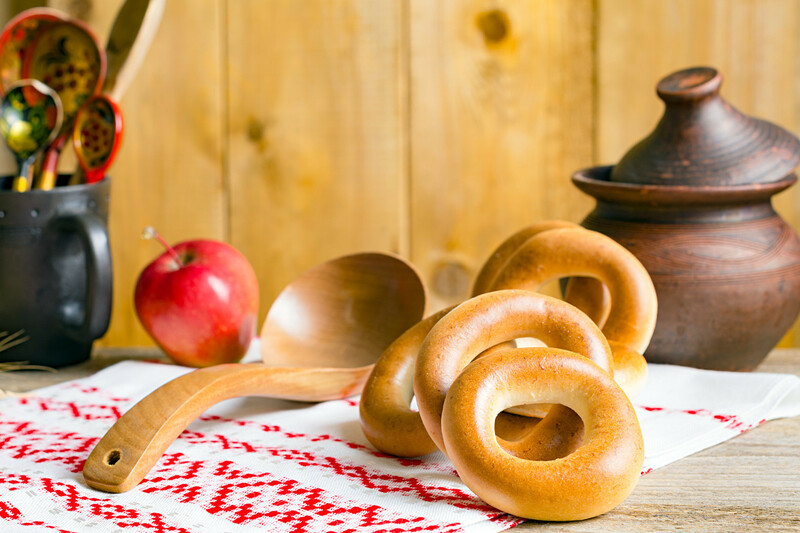 Baranki, bubliki, sushki — each Russian version of the bagel has a thin glossy veneer, the result of scalding before baking, which prolongs shelf life. Then of course, there's the obvious shared shape — a torus. But if this trio of treats is so much alike, how can you distinguish one from another? The “baranka” was first noted officially in a 1725 decree from Peter the Great. It originated in Belorussia, where locals would form fried dough into narrow bundles then bake them into “obvaranki” (later renamed “baranki”). The thickness of a baranka is 1.7 to 2.2 cm, the diameter 7 to 10 cm. Depending on the variety, it takes 35–45 baranki to make a kilogram. In the Soviet Union, varieties of baranki abounded — plain, vanilla, mustard, lemon, sugar, poppy, sweet, fruit, almond, saffron and more. Although usually circular, the vanilla and lemon baranki were often elongated in shape. People would frequently thread baranki with string, like a large necklace, and hang them as home decor. The bublik is a traditional dish in Russia, but it first appeared in Poland and in Ukrainian Odessa. Though it resembles a big, plumped-up baranka, a bublik (the name dervies from the verb “bublitsa,” to swell) is made from dough that's softer than the kind used in baranki. Ukrainian tradition calls for baranki to be coated with poppy seeds (another popular topping is cumin). 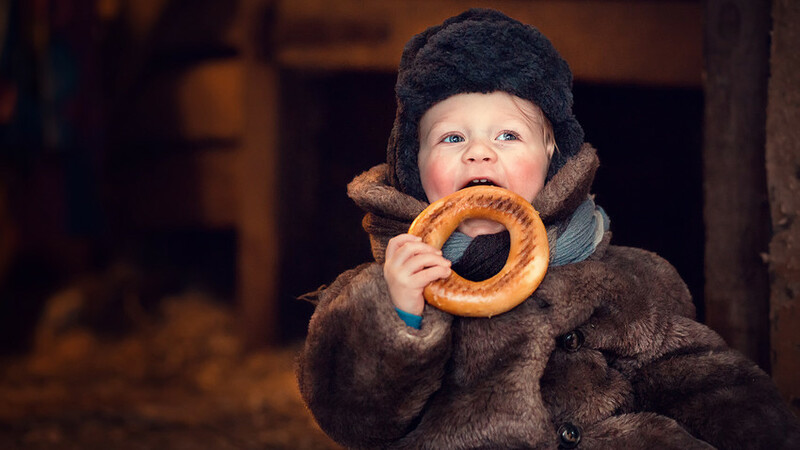 In the mid-20th century, a bublik standard was set — the weight should be 50–100 grams, and milk bubliki should contain 15 liters of milk per 100 kg of flour. 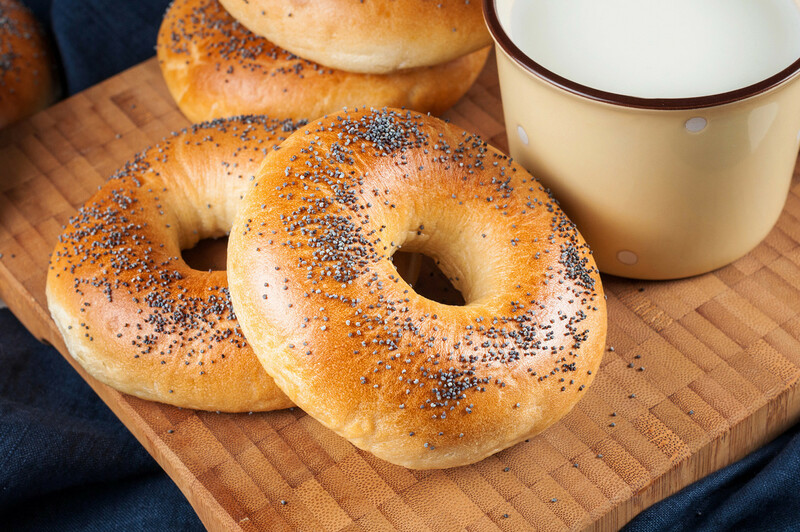 Bubliki are a close relative of the bagel, although the dough for bagels is softer, akin to ordinary yeast bread. Bubliki are firmer and more dense throughout. According to an old Russian definition, a sushka is a thin baranka that has been dried. 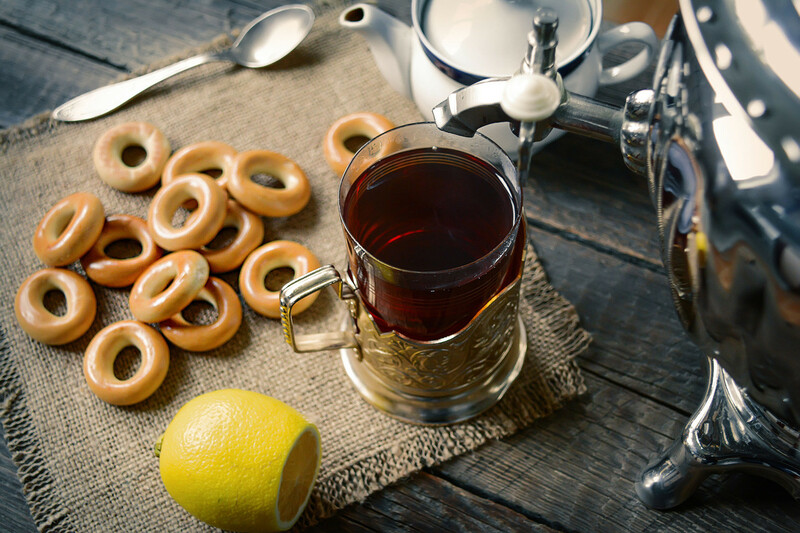 Sushki are the smallest round Russian baked good. Its diameter varies from 4 to 12 cm, and the thickness is no more than 1.5 cm. Sushki, as well as bubliki and baranki, are made with wheat flour. They can have different flavors, such as vanilla or mustard, and can be circular or oblong (the latter are called “chelnochok,” or shuttle). There are also very small sushki — just 4 cm in diameter. Sushki are often given to little children when teething. Traditionally, all baked goods were considered a delicacy for the young, and peasants would bring them from the city as a treat. Sift the flour into a bowl. Make a groove in the middle. Add eggs, water, butter and salt. Knead the dough. Divide the dough in half and roll it with the palm of your hand into a thin strip. Cut the dough into equal small pieces, then form sushki — connect them so that the rings turn out. Place the sushki in boiling water to which half a teaspoon of sugar has been added. Scald until the sushki rise. Remove the sushki and dip them in the poppyseeds. Place on parchment and bake in a preheated oven at 230 degrees C (450 Fahrenheit) for 20 minutes. Yum. To get a true taste of the country's sweets check out our text on the most delicious delights from Russia's regions.